This year will be the third that I have had a stand at the Ascot retirement fair, which is located inside The Grandstand of Ascot racecourse in Berkshire. 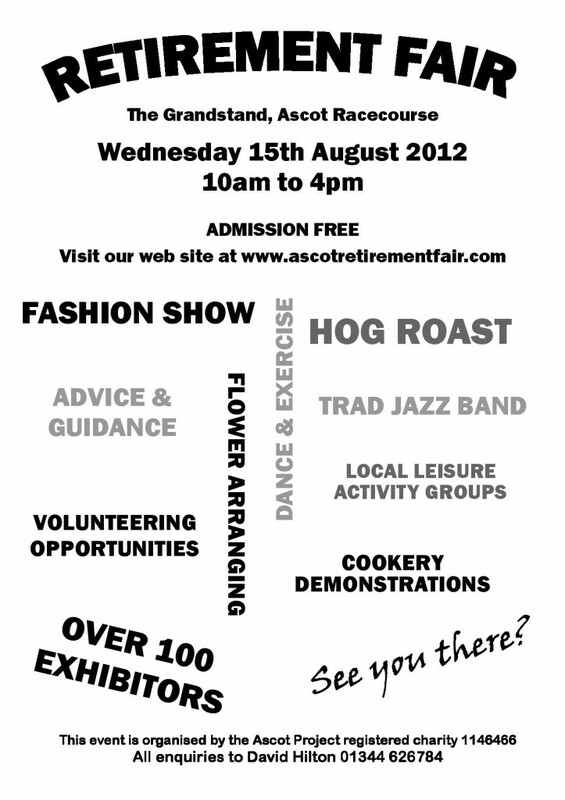 This years fair is being held on Wednesday 15th August from 10am to 4pm. Who do you know who is retired, or coming up to retirement? It’s a great day out. They can drop by my stand as well, and I’ll answer any tax questions that they may have.